It's been brutally cold here in New Hampshire. A Nor'easter dumped another foot of snow on us and brought some stiff winds, but it was nice to have temps back in the 20's for a day or two! We're in for another plunge down into the negative teens tonight. I'm going to sound like an old fogey... but I don't ever remember having cold spells like this growing up. January in NH typically has a week of frigid weather, but we usually get a day or two in the 20's or 30's, making it bearable. We haven't been above freezing in two weeks, and this started around Christmas. 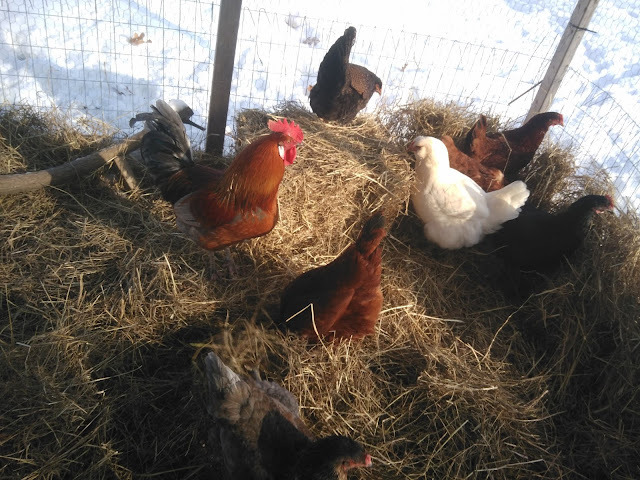 To keep the hens happy, I spread a hay bale around their run, so they can stay a bit warmer. They were all digging looking for goodies and throwing it around, so I think it went over well. My mom made them a roosting perch too, which has been well received. I attempted to enclose their run with painter's plastic this week, so they could have a windbreak, but it was so cold that the electric stapler stopped working! Another time. I made a close-quarters pooper-scooper out of a stall fork by cutting the handle off. 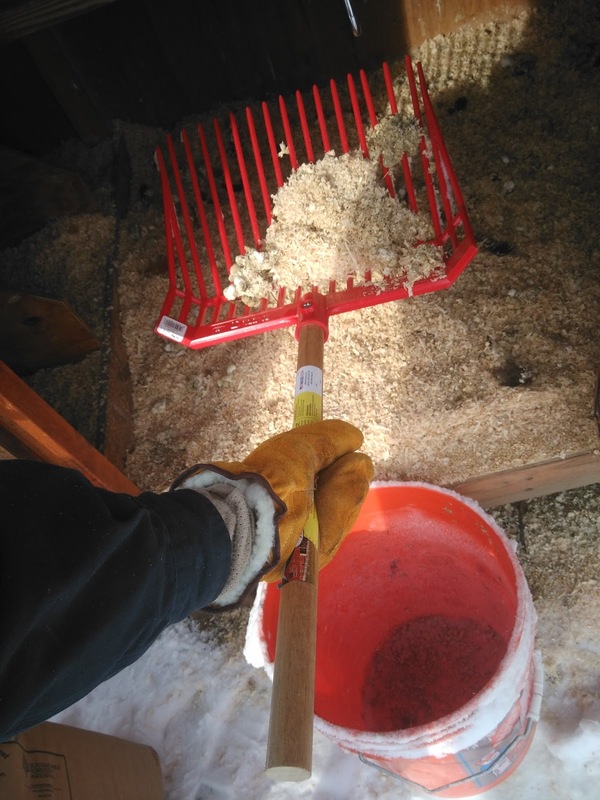 Now I can clean the coop out pretty quickly, and get in around the corners. Way easier. I haven't done as much as I wanted to with the solar panels, this week. I sorted through the pile of loose panels, and found that I have 8 smashed 75W Siemens, 1 Siemens with a burn in it, 1 good 80W Shell, and 6 good Siemens panels... in addition to six racks of six each. 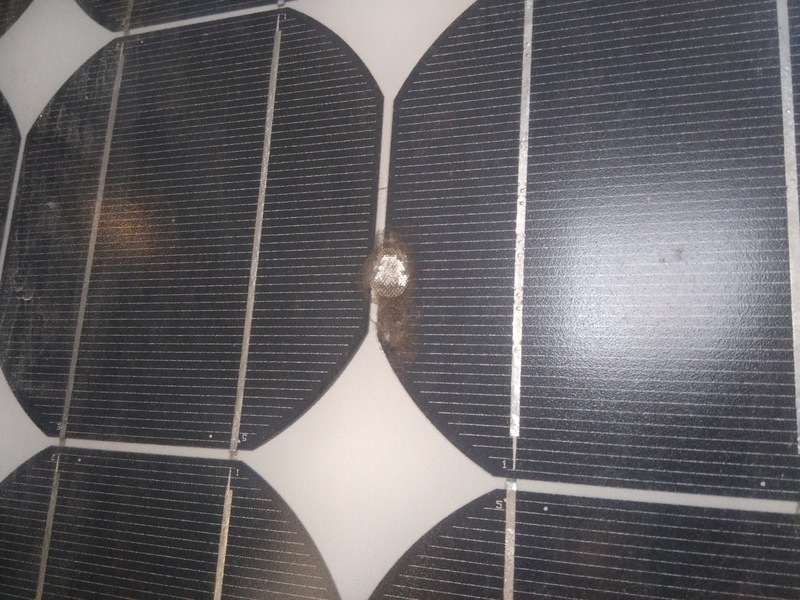 After doing some reading about repair of solar panels, I learned that most are constructed so that the photocells are epoxied onto the glass, making it very hard to repair a shattered panel. 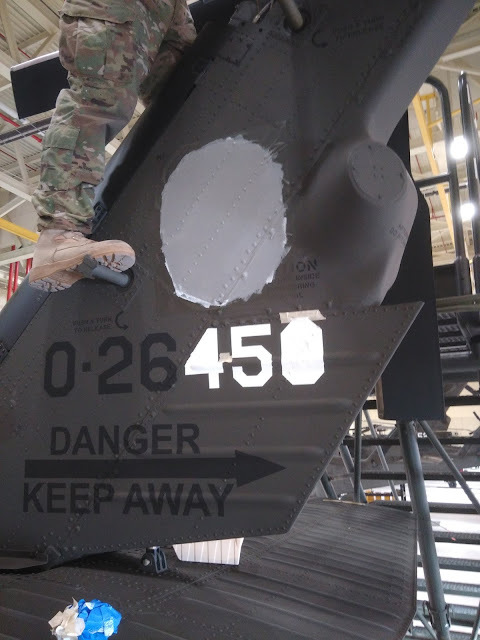 One of the smashed panels gave the appearance that it wasn't epoxied in, so I started taking apart my panel with the blast mark... for science. It turns out these are epoxied in. 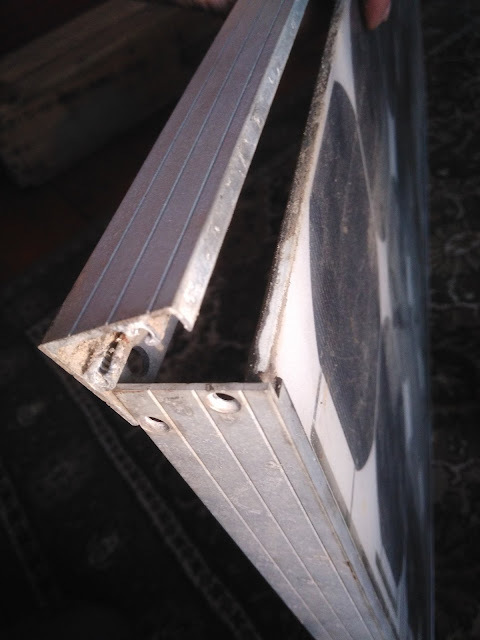 If I want to repair my smashed panels (I'm guessing I have 9 or 10) I'll have to add a layer of epoxy to the outside to keep the elements out of the cells. A good project for when it isn't -10F! 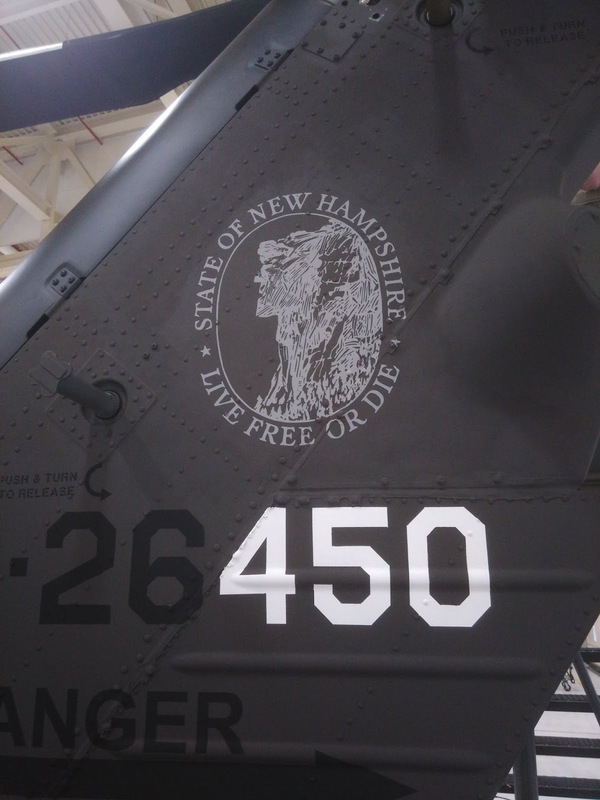 I put a mask of NH on the right side of the aircraft's tail pylon, and masked around the tail numbers of "450," one of our newer UH-60L's. 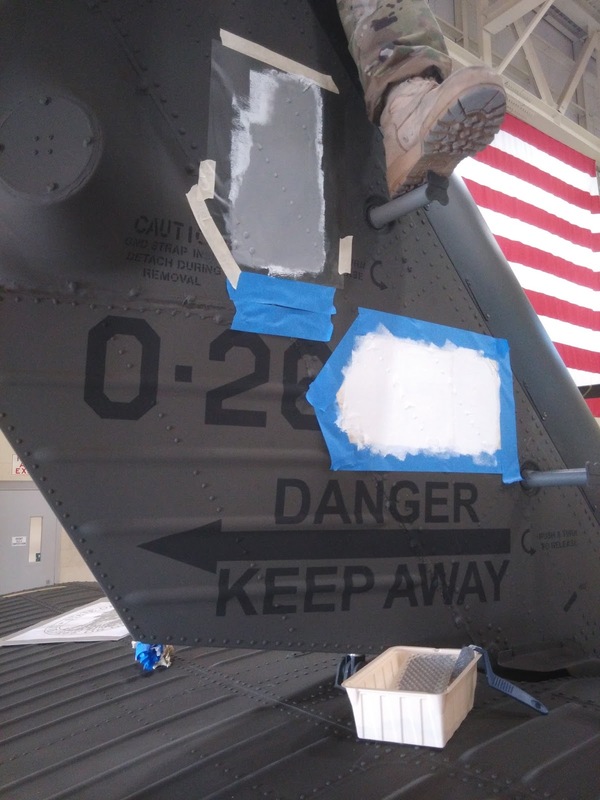 For paint I used aircraft "CARC" with the little rollers from Home Depot. Three coats leaves a decent dull (and chemical agent resistant) finish. Once the masks are removed, and the gray base has dried, I applied another vinyl mask on top, and painted the whole thing green. I added a bit of white to blend the fresh green paint with the slight fade 450 had from sitting in the sun. I picked off the mask, and now the great stone face of the Old Man of the Mountain is on the tail of another bird. Whenever we're on the road, we get plenty of comments about it, and it's subtle enough that we haven't gotten in trouble for it yet. 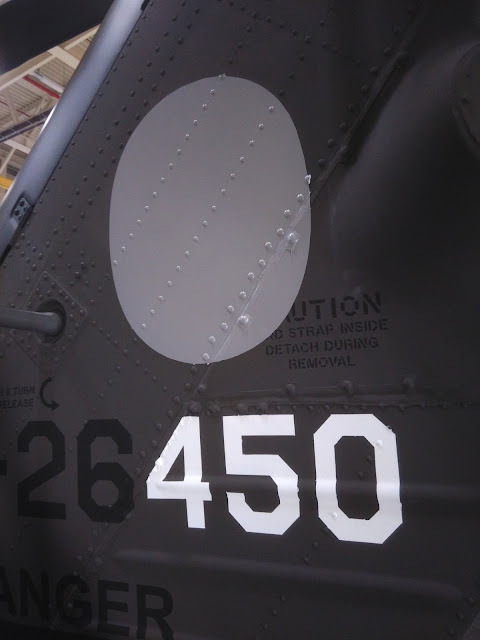 We got an aircraft from Hawaii a few years ago, with King Kamehameha's profile painted on the engine cowlings. Not wanting to deal with any fallout of Pele's Curse, a few of us zen mechanics sponsored a Koa tree on King Kamehameha's old hunting grounds, in the name of the "King Kamehameha of UH-60L 00-26870." We had a small ceremony as we painted over his likeness, thanked him for watching over 870 and her crews, and to rest assured that the Old Man of the Mountain would take it from here on out. We continued flying 870 for several years, until it got traded to Tennessee, where it promptly had to get a fuel tank replaced. I'd like to think King Kamehameha's spirit, honored by our gift, kept the fuel tank together until it left New Hampshire.